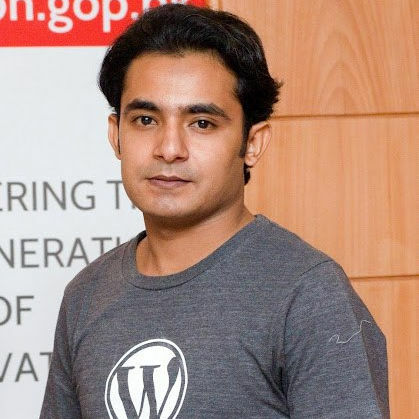 Assalam-o-Alaikum (Hello) everyone, I am Muhammad Adnan and I’m deeply involved within WordPress and Google API’s. I love software architecture, wrangling with code and loving the entrepreneurship ride. The first freelance project I got was in asp.net C# and build an online stock management system. This is how I started my proper freelance journey and kept growing and ranked to top #182 at RentACoder.com until it was sold to freelancer.com in 2012. I have contributed to phpMyAdmin in 2010 as a Google Summer of Code Student and got $5k from Google. My proposed project was Relational Export Schema in different formats. I’ve been selected a Google Student Ambassador in 2013 from Pakistan. I have organized 16 events during my Ambassadorship life in universities where I encourage students about Google tools, freelancing and open source development. I am titled as Innovation Hero in Pakistan and Officials did a video shoot of mine. My FB cover shows the award picture. It was WordPress version 2.2 during 2007 I involved with WordPress when my freelance client asked me to do a WordPress blog theme. I found WordPress very easy and started getting a lot of freelance custom WordPress theme projects. I was working as a freelance developer for many agencies and consultants, my coded projects were featured at TechCrunch.com and got acquired in $100,000 but I was not happy to do work for others. I was an entrepreneur in a sense that I had a team of 7 people along with my younger bro (co-founder) working for WPBrigade. I had my own WordPress development agency, but we never had our own products. I encourage every freelancer to start something (a product) part time and keep working on it along with other things. You don’t know when you will acquire large a number of users and It will be your Identity. Believe me, It feels really awesome when you manage a product which is being used for thousands of sites and people recommend your product to others and recognize you from your product. A WordPress plugin or theme is an amazing way to enter in entrepreneurship. In 2012, I built a ‘post analytics’ plugin for my client. He wanted to have General Google Analytics stats to show under each post/page at frontend only, like an SEOMoz feature for their clients. After few months, with permission from the client, I published it on Codecanyon. In Mid 2014, I decided to get into product development and while using GA for my sites I recalled that I have a plugin on codecanyon which I rarely updated. So I decided to take that plugin seriously with new GA APIs and rich set of features. I thought to give an update to ‘post analytics’ but with the range of Ideas coming I reached to ‘Analytify’ a new plugin which has been a real hit and successful. I published Analytify on Codecanyon but took it out after making 9600 sales and started selling on my own site as a GPL product. Selling on my own site was a fantastic decision, I learned a lot of new things that turned a freelancer to a Real Entrepreneur. Having multiple license options, Add-ons and Affiliates for Analytify opened more doors for me. I partnered up with Asif, registered a company is U.S and we launched free version of Analytify at WordPress.org. Google and WordPress both are my passion, I met with googlers and presented Analytify to them. They asked me that I should apply for Google Analytics technology partner program and hence we are Google Analytics Technology Partner now. We are putting a lot of love to Analytify, improving it day by day and trying to save people’s time like 5 minutes a day, everyday. 2016 is going to be the great year for Analytify, We are working on the launch of Analytify.io which will be a SaaS product and I credit this to the WordPress world as everything started from WordPress. The real joy of entrepreneurship is, when you wake up and get a notification of maximum price license is sold overnight. Your morning would be awesome, I bet! I went to U.S first time for attending my first WordCamp in 2015 and met with great WordPress entrepreneurs and developers from whom I got a handsome amount of knowledge. It was tremendous to see the people I was inspired by all at one place, having chat, dinner and playing pool with them. I am also co-organizer of Sialkot WordPress meetup group in my city. The best way to do something bigger is, solve a small problem around you and convert it to Minimum Viable Product (MVP). If you are a WordPress developer, push a small plugin or theme to the repository. You will surely get users feedback which can turn your product’s luck. Nobody is perfect, including me. There are lots of things that I need to improve in 2016 and I’m very excited to fix them all. The best thing about WordPress community is they share their best practices to everyone and you can become master in no time. It truly feels awesome to be part of larger community on the web. My next goals are to contribute in the Core and complete my other plugins and themes to launch in 2016. 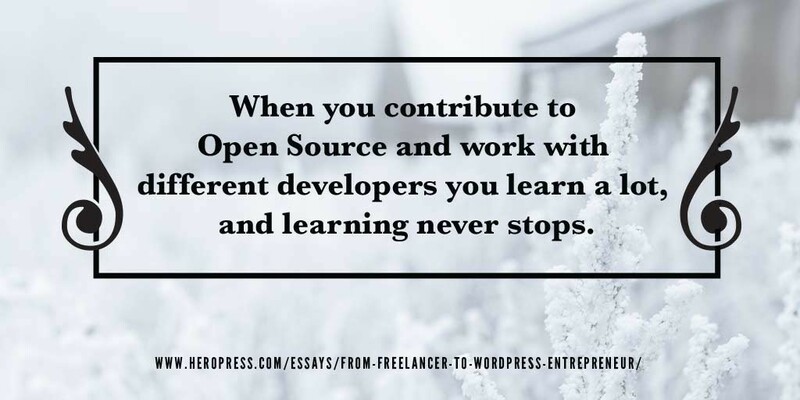 Core contribution is a thing which every WordPress developer should take part. When you contribute to Open Source and work with different developers you learn a lot, and learning never stops my friend. Congrats on your success. I believe in your product and looks like the discussion we had about SaaS version of Analytify led to some plans. I’d love to see it grow bigger and better.